The head of the Stikine River is in British Columbia and flows 400 miles to salt water near Wrangell, Alaska, the "Gateway to the Stikine". 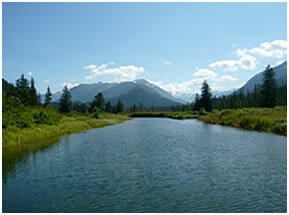 Named by the Tlingit Indians, Stikine River means "Great River". To learn more about our tour please click The Stikine River. LeConte Glacier is the southernmost active tidewater glacier in the northern hemisphere. Since first charted in 1887, it has retreated almost 2.5 miles. 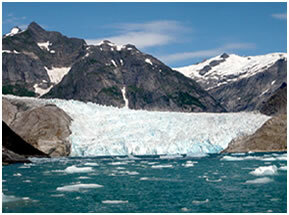 To learn more about our tour please click LeConte Glacier. Transportation only to and from Telegraph Creek. To learn more about our tour please click Telegraph Creek.